Andy Macpherson, Ryan Henry, Chris Main, Robin Wilson, Jamie Johnson & Martin Johnson travelled down to Nottingham Uni Campus to compete in 1 of the 10 Grand Prix events of the year, Nottingham GP. Grand Prix competitions are well known to be the highest of standards and are always a weekend full of matches and ups and downs. Ryan & Jamie found it tough in their band 5 and band 6 groups, just losing out in qualifying in both events. Andy Macpherson worked his way to the Last 16 of Band 4 event losing out in a very close & entertaining match v Team GB Paralympic player & eventual winner Billy Shilton 11-8 in the fifth. Robin who was competing in his first Grand Prix lost in Last 16 of Band 6 11-8 in the fifth and played well reaching that stage with 4 wins. Martin failed to qualify in both events in count back and unlucky to do so. On the Sunday, Martin performed brilliantly in losing out to the top Irish Junior Owen Cathcart 3-1. Martin got him in a great position being 1-0 8-4 up, but Owen fought back and won the 2nd, 3rd & 4th set. Good squad of our most promising players attended Bishop Auckland 2* event on January 31st. Chad Duncan, Patric Hollywood, Jamie Johnson, Robin Wilson, Holly McNamara & Ryan Henry. All players put in great results and gained plenty of matches, also great to see our players competing and beating players from top English clubs. 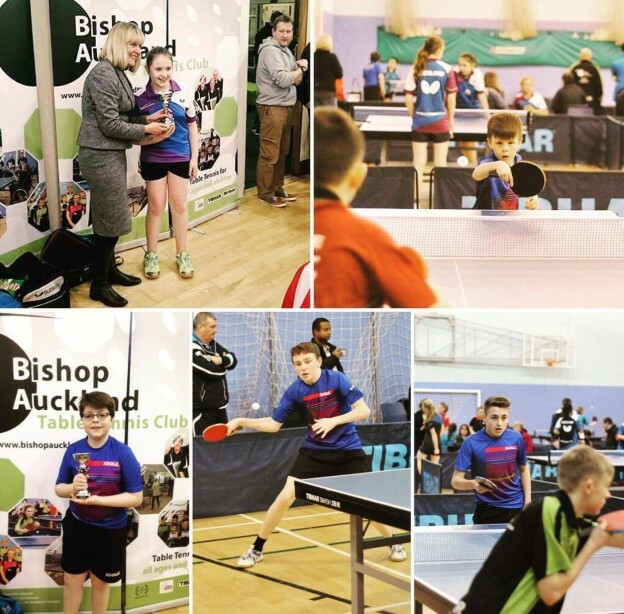 Pictures our NATTC players and full results are available on Bishop Auckland TTC Facebook Page – https://www.facebook.com/bishopttc. Jamie Johnson – U11’s winner & U13 boys plate winner. Holly McNamara – U13 Girls plate winner. Chad Duncan – U13 Boys plate r-up. Patric Hollywood – Last 16 of U13 Boys. Ryan Henry – Last 16 of Junior Boys. Robin Wilson – Last 16 of Junior Boys. This entry was posted in Latest News on 24th February 2016 by Chris Main.